Sushi is among the most popular meals all over the world. It comes in a lot of types and shapes, but the roll is undoubtedly the most popular one. The history of this fantastic Japanese meal began around the 8th century, when people from the Southern Asia developed it as a means of preserving fish in fermented rice. Today the dish has thousands of variations all over the world and it is know for its unique and delicious taste. Before we give you a few ideas on how to roll sushi, here is some further information about the different types of sushi rolling. 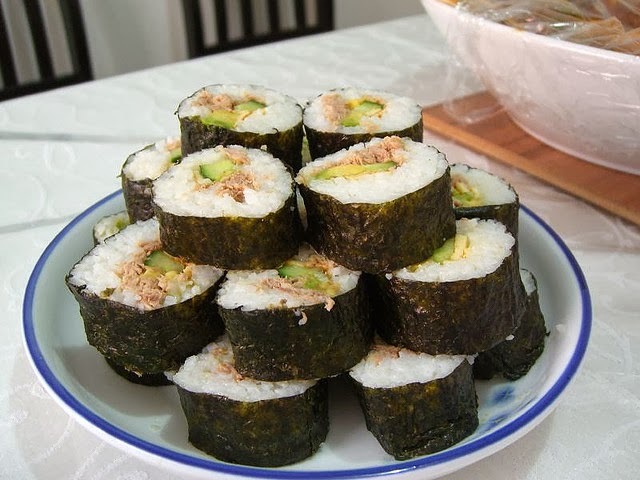 Maki - Seaweed are rolled on the outside; rice and the other fillings remain in the inside. The shape is cylindrical. 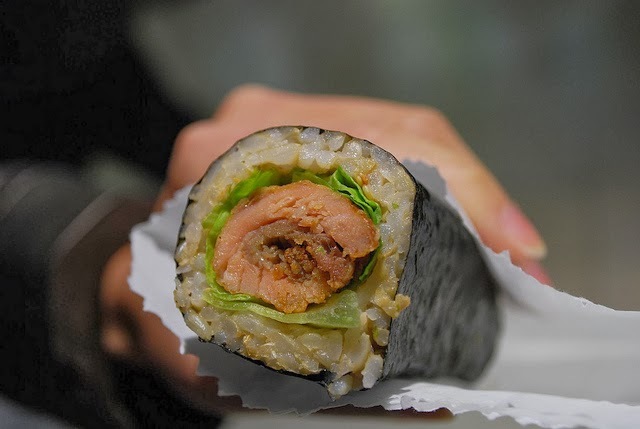 Uramaki - Turned Maquis – This time part of the rice is on the outside; seaweed, the rest of the rice and fillings are in the inside. Also in a cylindrical shape. Hand-made rolls – They are formed like an ice cream cone and the rice and filling ingredients remain inside . You will need a few tries to achieve really nice, tight rolls. It is not difficult, but you have to find the best technique for you. Sushi rolls can be kept several hours in the refrigerator and then wrapped in stretch foil before serving. However, the taste will be much better of you serve it immediately. 1. Take a sushi mat and place a sheet of nori on it (for those of you who do not know, nori is the type of seaweed used in the sushi recipe). If you don't have a sushi mat, you can either buy one from the Asian food markets, or use aluminum foil. • Phoenix roll: salmon, avocado, crab sticks, tuna tempura batter. • Ahi roll: cucumber, daikon, avocado, yellowfin. 3. Start rolling. Start with the side where you have placed the filling ingredients. Lift the sushi mat and fold the nori over the 1st ingredient, while holding the edge of the mat with your fingers. 4. Continue rolling, making sure that all the ingredients are on their places. 5. Tighten the roll with the sushi mat. However, be careful, because some of the ingredients may fall out. 6. Leave the roll for a couple of minutes. This way the nori will moisten from the rice and you will not tear it when you cut it. Hot Tip: In order not to spoil the overall look of your tasty sushi bites, use a sharp and wet knife. 8. At last but not at least – serve. Sushi allows you to let your imagination fly. It gives you the opportunity to experiment until you find your favorite of variation of this fantastic meal. It is great for all types of occasions and celebrations. Bon Appetit! July Minor loves to write on different topics like foods and cooking. She currently works at http://www.shinylondon.co.uk/house-cleaners-marylebone-w1/ but her real dream is to become a cook.